Continuous Issues in Numerical Cognition: How Many or How Much re-examines the widely accepted view that there exists a core numerical system within human beings and an innate ability to perceive and count discrete quantities. This core knowledge involves the brain’s intraparietal sulcus, and a deficiency in this region has traditionally been thought to be the basis for arithmetic disability. However, new research findings suggest this wide agreement needs to be examined carefully and that perception of sizes and other non-countable amounts may be the true precursors of numerical ability. 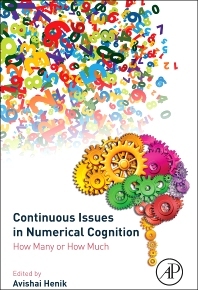 This cutting-edge book examines the possibility that perception and evaluation of non-countable dimensions may be involved in the development of numerical cognition. Discussions of the above and related issues are important for the achievement of a comprehensive understanding of numerical cognition, its brain basis, development, breakdown in brain-injured individuals, and failures to master mathematical skills. Chapter 4: Contextual Sensitivity and the Large Number Word Bias: When Is Bigger Really More? 4.1. Why are number words confusing? 6.3. Current study (or how can evolutionary algorithms help in understanding the development of the counting system)? Chapter 9: “Number Sense”: What’s in a Name and Why Should We Bother? Chapter 16: What Do We Measure When We Measure Magnitudes? Dr. Avishai Henik is a Distinguished Professor of Psychology at Ben-Gurion University of the Negev and Chair of the recently established Inter-Faculty Brain Sciences School. Prior to this he held visiting scientist positions at U.C. Davis, U.C. Berkeley, and the University of Utah. He holds a position on the Board of the journal Neuropsychologia, was recently guest editor for Developmental Neuropsychology on the topic of Numerical Cognition, and serves regularly as an ad hoc reviewer for various journals in the field and granting agencies. 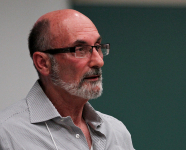 Dr. Henik has over 200 publications of which most are in peer reviewed journals. A leader in the field, he has been awarded a prestigious European Research Council (ERC) advanced grant to continue his cutting-edge research on the contribution of non-countable dimensions to the development and understanding of numerical cognition. Dr. Henik is also the coordinator of an Israeli Science Foundation (ISF) Center of Excellence, which aims to study the neurocognitive basis of numerical cognition, and currently holds the Zlotowski Chair of Cognitive Neuropsychology.